In preparation for President Obama’s upcoming jobs speech, the California Construction Academy (CCA) developed a jobs plan for the construction industry. While the CCA focuses on construction, these principals could be applied to many industries. With President Obama’s jobs speech forthcoming, we at the California Construction Academy (CCA), a project of the UCLA Labor Center, decided to compile our own jobs plan based on our experience in the construction industry over the years. CCA has worked with California leaders to analyze construction policy, most recently in green construction careers. Why the construction industry? The President has already hinted that his speech will focus in part on rebuilding our bridges, roads and schools. We believe our five recommendations to create jobs in the construction industry can serve as a model for other industries nationwide. Often our inclination is to look at the numbers of new jobs, disregarding the quality of these jobs. However, low-wage temporary jobs only delay economic recovery. For example, why create an army of temporary workers with training only to replace light bulbs when they will be unemployed again just months later? Instead, we can train these same workers to become electricians, where they will have stable, middle class careers for life. With consumer spending accounting for 70% of the United State Gross Domestic Product, the spending power of the middle class is crucial to keep the US economy running. We urge policymakers to build upon existing infrastructure to provide pathways to middle class careers. Many people are unaware that union apprenticeships are one of the largest privately funded training programs in the country. Pairing classroom training with paid practical on-the-job training, these programs work directly with employers to meet their needs. Keeping taxpayer dollars local and creating local jobs is just common sense. Good local jobs positively impact workers, their families, local businesses where workers spend money, and local tax revenues. Jobs must also be accessible to disadvantaged workers most in need. In 2010, the unemployment rate was 16% of African Americans and 12.5% for Latinos, compared to 8.7% for whites. 11.5% of veterans who have served since 2001 are also unemployed. Several studies estimate that former prisoners face a startling unemployment rate of 50% up to nine months or a year after their release. Policies such as Project Labor Agreements (PLAs) that encourage employers to hire diverse workers locally. As agreements between construction project owners and workers’ representatives, PLAs set the percentages for work hours that will go to local residents and to disadvantaged workers. Recently, Los Angeles Mayor Antonio Villaraigosa also pressed the federal government to encourage more local hiring. To make jobs more accessible to disadvantaged workers, workforce-training programs must also provide basic job readiness support such as math, reading and interviewing skills, and case management. Public-private investments in needed infrastructure and transportation networks throughout the country can create good jobs immediately. Investing in infrastructure improvements could address public safety issues while creating thousands of jobs. These public works projects are up-front investments that can channel workers into stable, long-term careers in both the public and private sectors. Despite recent attacks on green jobs, the Brookings Institute reports that the emerging clean economy currently employs 2.7 million workers, which is more workers than in the fossil fuel economy. In addition, median wages in the green economy are 13% higher than median wages nationwide, meaning that green jobs are good jobs that support workers, families, local businesses, and tax revenues. At a time when both our economy and environment are in jeopardy, a green jobs strategy needs to be central to the country’s jobs plan. One major component currently lacking from the green jobs discussion is “demand generation,” or how to generate more consumer demand for green products and services. Diverse stakeholders need to create innovative ways to educate the public to invest in the clean economy and to address any financial barriers. This will also ensure that public investment on the front end stimulates private consumer demand, creating sustainable financing for job-creation in the private sector. Innovation requires bringing people together within and across sectors: business, community, government, labor and academia. To truly move us past this jobs crisis and onto a sustainable path of growth, there is no other way. As one example, the DOL created the Pathways Out of Poverty grants to train workers in green construction skills in some cities, increasing the supply of workers. Meanwhile, the DOE’s Better Buildings grants funded actual construction projects in different cities, increasing the demand for workers. This resulted in some cities receiving workforce training money and others receiving project money, a mismatch that cost workers jobs. We need to avoid past pitfalls and ensure coordination across agencies and between diverse stakeholders (both public and private) to ensure training programs match project money and employer needs. The money is there for these projects. We need to generate revenues from unnecessary tax loopholes and tax-breaks for the wealthy, but also use these funds to leverage increased private investments. In this economy, every public dollar must count. We can’t afford to just think about the short term and risk moving from one crisis to the next. Instead we need to use this moment as an opportunity to create high quality, accessible, middle class jobs that will sustain our economy over the long term. 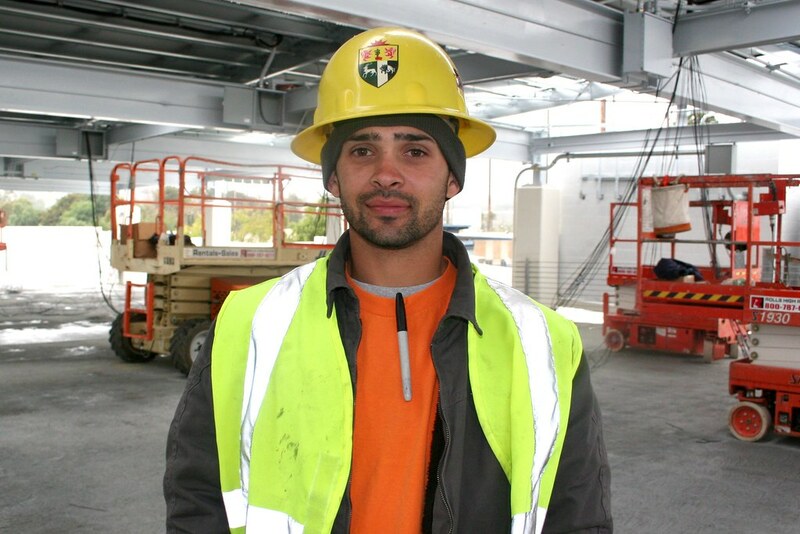 Daniel Villao is the Director of the California Construction Academy, a project of the UCLA Labor Center. The California Construction Academy (CCA) is a statewide organization dedicated to building a better construction industry through facilitation, research and popular education. CCA envisions a construction industry that leads the nation in triple bottom line returns in the form of environmental, economic and social benefits. We plan to publish a book on “deep green” jobs this year. Follow CCA at @GoodJobsCCA or like us on Facebook.